Well, another year is in the books. Almost. I'm not crazy about these "year-end reflection" posts, but what else is one to do at the very end of the calendar year? So here it goes: My top 3 birds for 2017. Number 3: An early fall trip to the Salton Sea allowed for some much needed reacquainting with this winged Mexican wayfarer. I spent a few days here soaking up some rather interesting molt patterns with an impressive group of lingering birds. Here's the "neatest" adult I could capture. 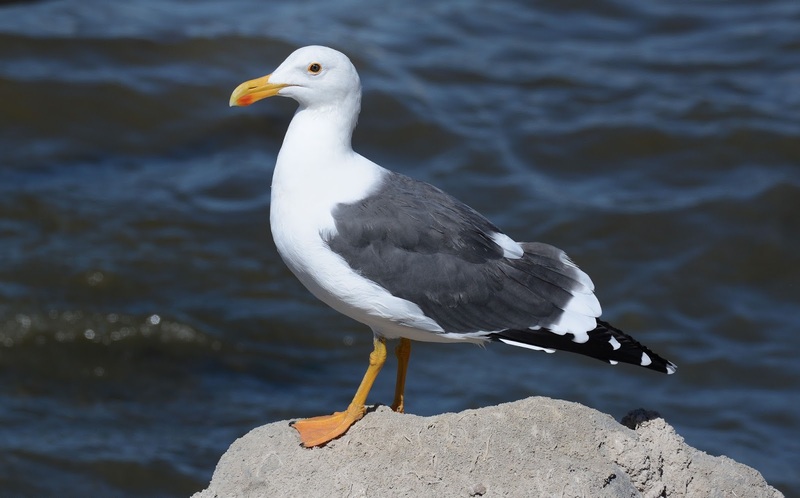 Adult Yellow-footed Gull. Imperial County, California. 29 September 2017. Number 2: This Asian beast came barreling in for a spectacular appearance while I was working the Herrings on a small inland lake in Pleasant Prairie, Wisconsin. 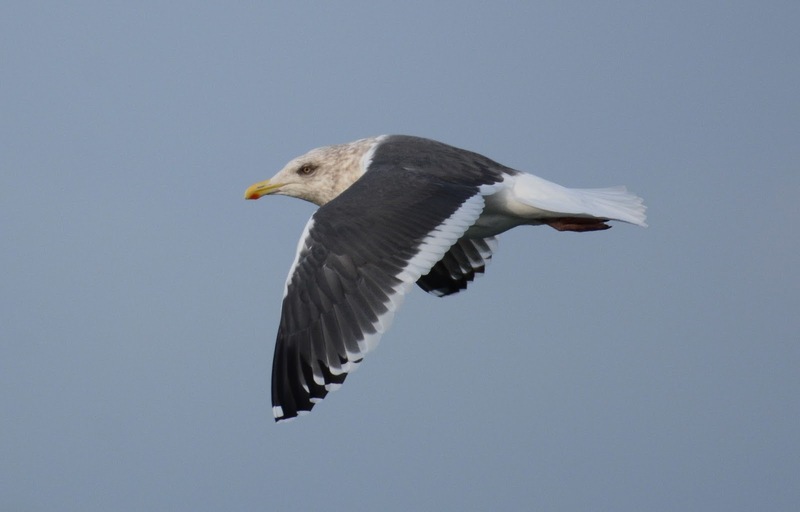 It's only my second self-found Slaty-backed Gull. Of more interest is that both of "my" Slaty-backs are each 1st county records, sitting adjacent to each other across state lines: Kenosha County, Wisconsin and Lake County, Illinois. Adult Slaty-backed Gull. Kenosha County, Wisconsin. 10 December 2017. Number 1: My summer came to a standstill on the last day of August when this Galapagos endemic was spotted in Seattle. I made it out there two days later on a total crap shoot as the bird was moving up and down the sound with no predictable pattern. Fortunately for me and lots of other birders, Shelley Rutkin and Philip Dickinson refound the bird in Everett, Washington on that Saturday - the farthest north it was ever seen during its foray, and now the northernmost occurrence for the species. 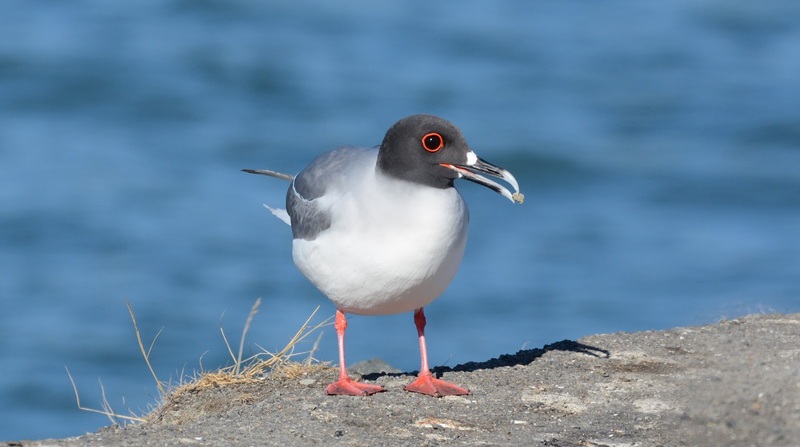 Adult Swallow-tailed Gull. Snohomish County, Washington. 02 September 2017. And there you go. Thanks for reading. Wishing you a prosperous year ahead!